Zonebac ransomware uses sophisticated techniques to infiltrate computers and hide from its victims. Use Reimage to determine whether your system is infected and prevent the loss of your files. Zonebac trojan is a backdoor type of virus that allows attackers to perform several malicious acts on victims' devices. The primary executable runs as Isasss.exe in the Task Manager after the malicious payload is executed via UPX packer. 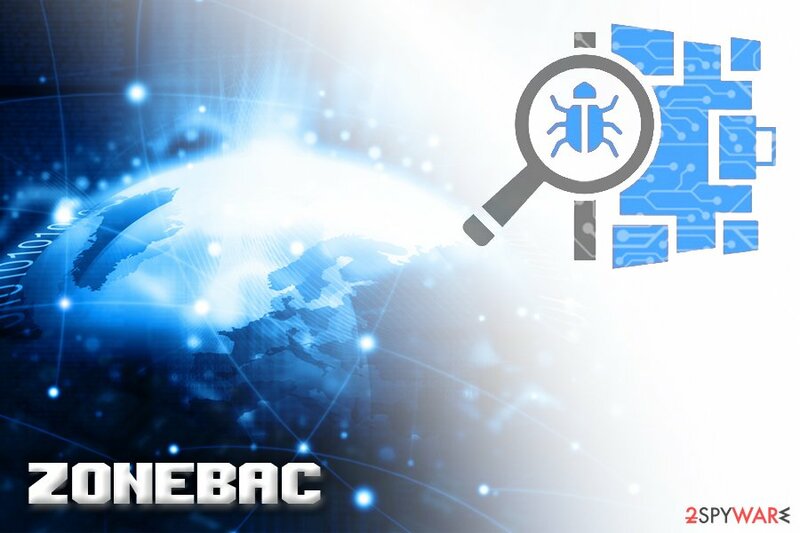 There are several different variants of Win32/Zonebac malware, and most of them are known to terminate firewall and security software. Additionally, it allows the attackers to upload unwanted applications or install other viruses on the hijacked computer. 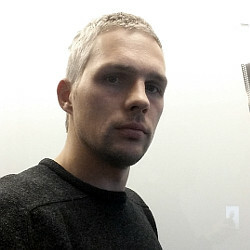 Zonebac virus is likely to infiltrate computers that are unprotected by security software. Therefore, it is vital to obtain reliable security software (experts recommend Reimage or Plumbytes Anti-MalwareMalwarebytes Malwarebytes) and keep it updated at all times. In case your device got infected, you can remove Zonebac trojan using anti-malware tools without much effort. To begin its malicious operation, Zonebac malware creates a 123.pid file in the Temporary files folder. From that point, it scans the computer for several executable files that are connected with security software or firewall. If found, Zonebac will terminate these processes. Additionally, malware is capable of self-destruction before security software can intervene. Zonebac adds the value Lexmark_X74-X755 with data lsasss.exe to the HKEY_LOCAL_MACHINE\Software\Microsoft\Windows\CurrentVersion\Run subkey, ensuring that the virus will run with every boot of Windows. Take screenshots or use the camera remotely, etc. Unfortunately, victims will have a hard time recognizing the Backdoor.Win32.Zonebac infection, as trojans generally emit no visible symptoms. Nevertheless, users can encounter system/software freezes or crashes, the slowdown of the device, an increased amount of ads on Google Chrome Internet Explorer or Mozilla Firefox, as well as security software malfunctioning. Additionally, advanced users can check for altered registry values and presence of System32\lsasss.exe. If you suspect that your system has been infected with a trojan, make sure you scan it with anti-malware tool and remove Zonebac virus safely. If not, your personal information might be stolen and result in identity theft or money loss. Download and install security software. The is one of the most crucial steps in preventing malware. Make sure you install reputable software that is capable of preventing most viruses from entering your machine. Update your operating system and software on time. Software developers constantly release security patches. 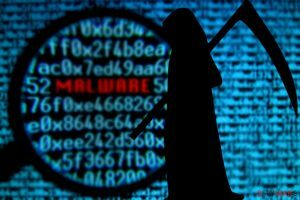 These updates fix software vulnerabilities that can be used by cybercriminals to inject malware. Beware of spam emails. Malware authors often employ bots to send out thousands of phishing emails. These fake messages either include a malicious attachment or a disguised hyperlink that leads to virus infiltration. Therefore, learn to recognize phishing emails to avoid such attacks. Stay aware from pirated software and file-sharing sites. Torrent and similar websites are largely infested with malware. Thus, downloading and executing files from such unsafe sites is extremely dangerous. Use strong passwords. Using the same password for multiple websites is not a wise idea, especially if it is easy to guess. To remove Zonebac virus from your PC, you need to scan it with reputable anti-malware software. As we already mentioned, we recommend using Reimage or Plumbytes Anti-MalwareMalwarebytes Malwarebytes. However, any other powerful tool will do the job too. However, make sure that the software's database is the latest version before scanning your computer. We do not recommend performing Zonebac removal manually, because the trojan made several changes to the system. To revert them, an exceptional IT knowledge is required. Therefore, if you are an average computer user, pick automatic virus removal instead. To make sure that the Zonebac trojan does not prevent malware-removal software from starting, enter Safe Mode with Networking as explained below. Log in to your infected account and start the browser. Download Reimage or other legitimate anti-spyware program. Update it before a full system scan and remove malicious files that belong to your ransomware and complete Zonebac removal. When a new window shows up, click Next and select your restore point that is prior the infiltration of Zonebac. After doing that, click Next. Once you restore your system to a previous date, download and scan your computer with Reimage and make sure that Zonebac removal is performed successfully. This entry was posted on 2018-08-07 at 01:55 and is filed under Trojans, Viruses. You can quickly scan the QR code with your mobile device and have Zonebac manual removal instructions right in your pocket. How did you remove Zonebac?